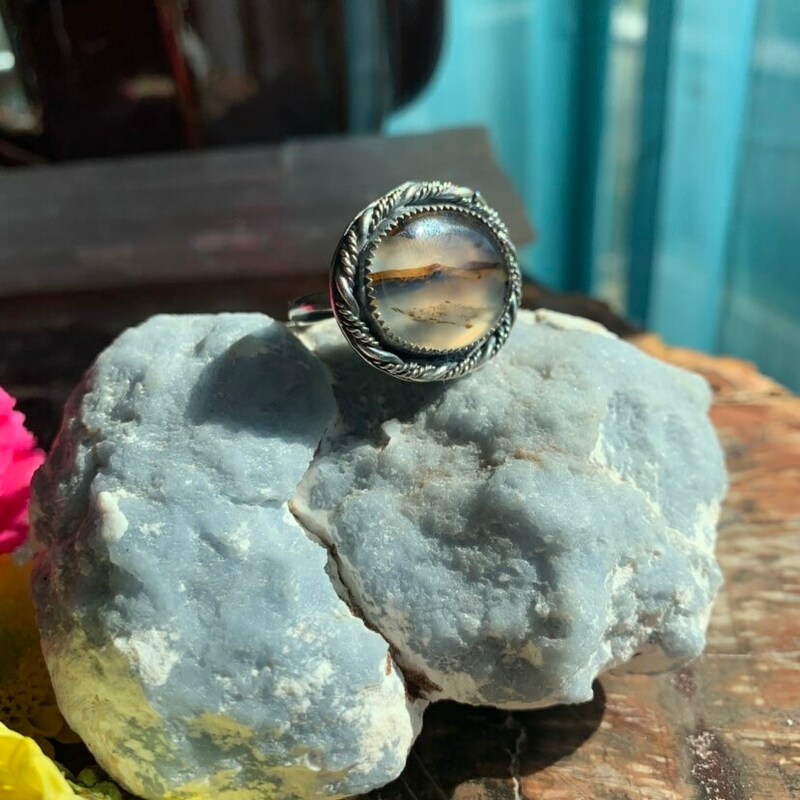 Handcrafted with love, beautiful Montana Agate ring, size 10.5. 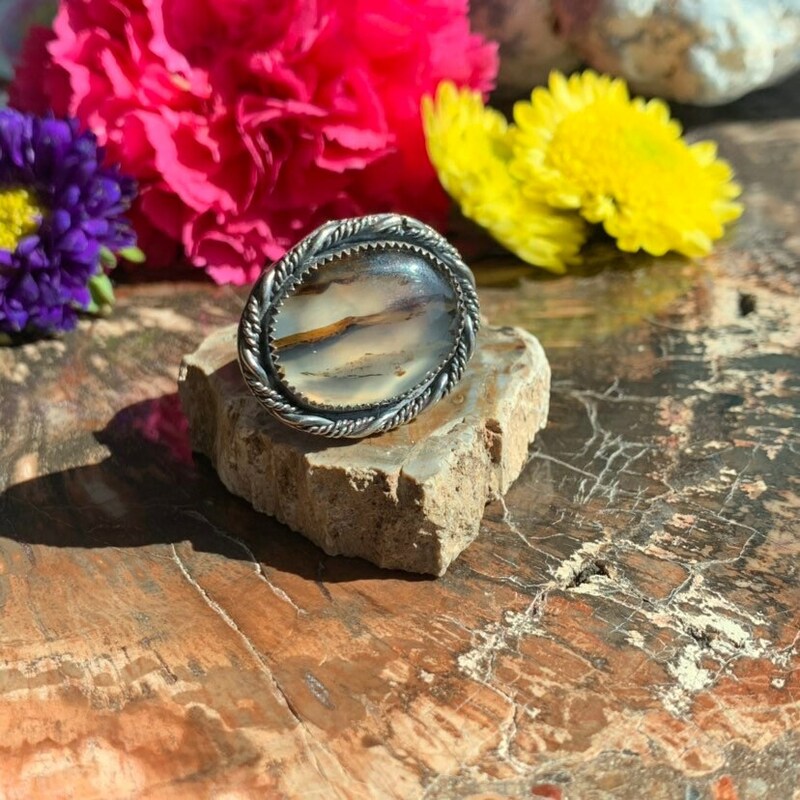 This ring features a gorgeous handset Montana Agate stone, hand forged decorative wire, and a single half round sterling band. I chose to set this stone horizontally instead of vertical. 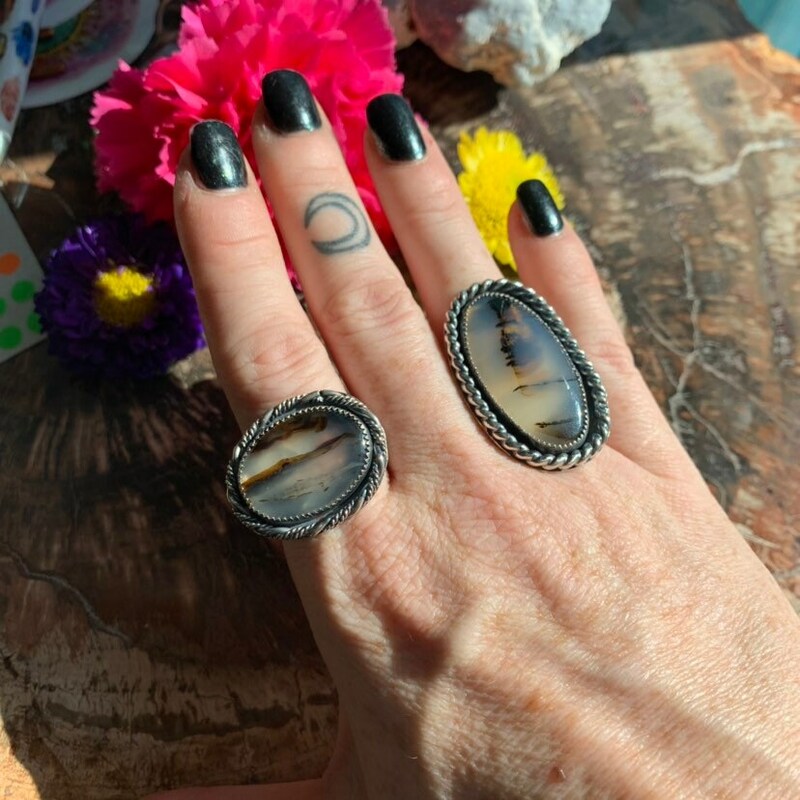 I am in love with the beautiful markings of this Montana Agate that appear like a dark landscape below the horizon. 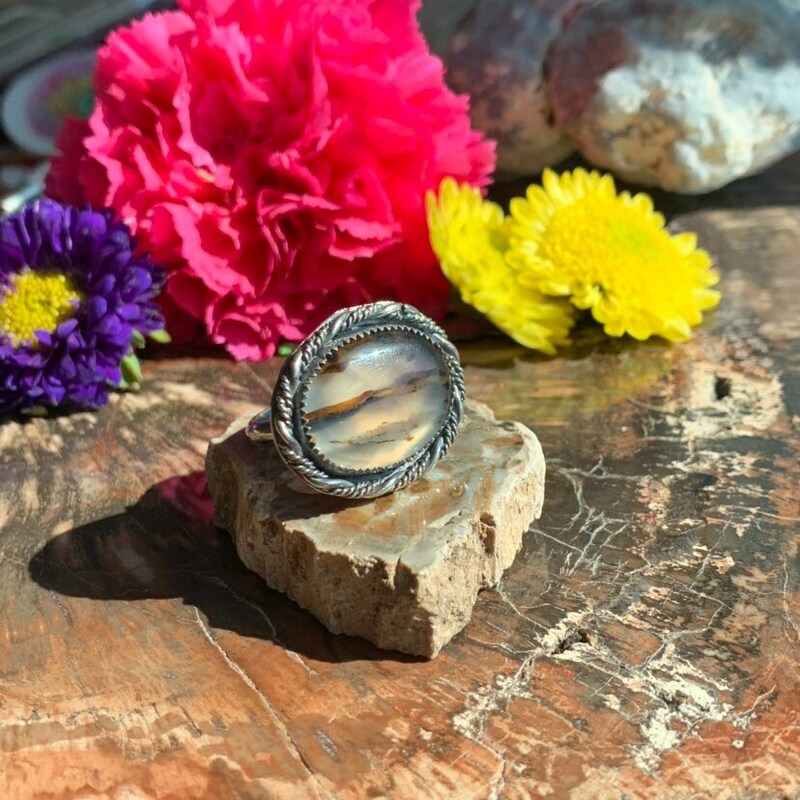 Montana Agate is a stunning Agate found in the bottom of the Yellowstone river! Agate has been known to have many positive and healing aspects. 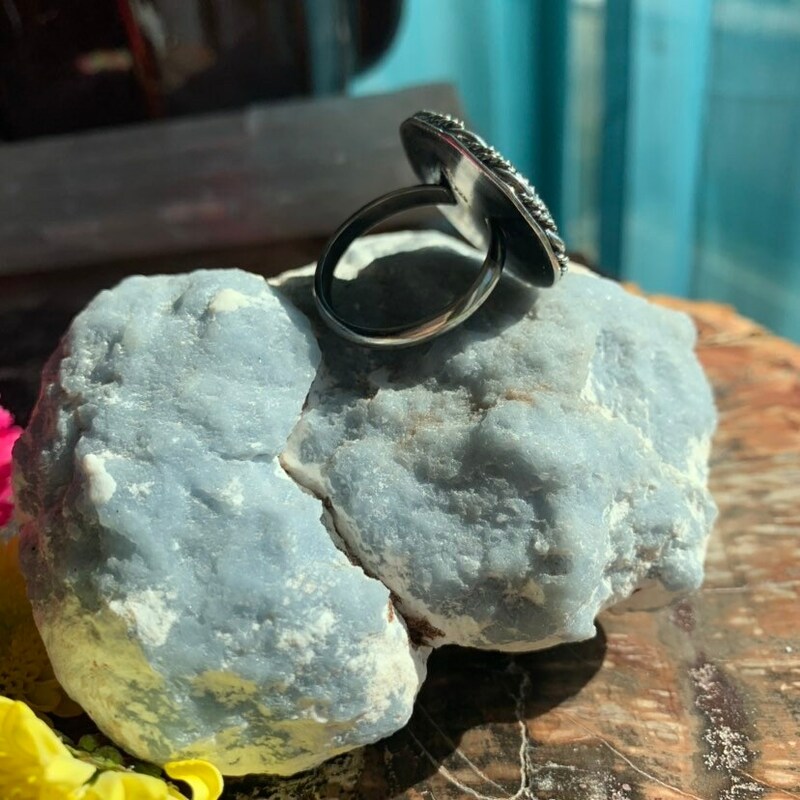 Healing, self confidence, and increased memory are just some of the claims to this gem that has been very consistent throughout history, even encasing ancient times. Although some of the claims are far-fetched, such as invisibility and fortune-telling, others are reported constantly enough to be credible to some degree. 27 mm or a little over 1 inch. 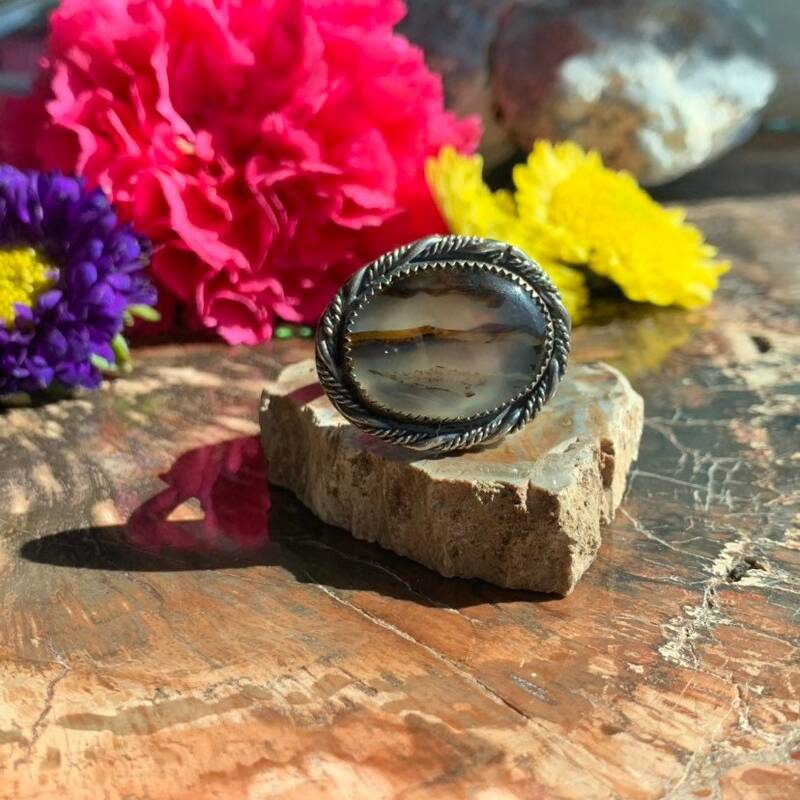 Each piece of jewelry is designed and crafted by hand in our home studio at the foot of Signal Mountain. 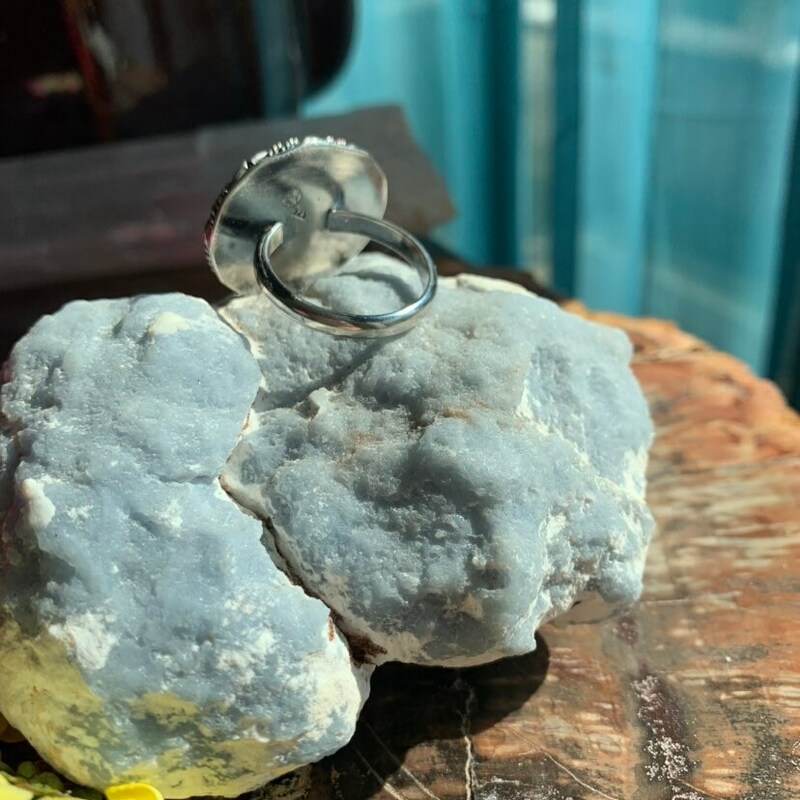 Our sterling silver jewelry will stand the test of time and can be passed down from generation to generation. From our hands to your heart. We strive to show you the investment you make buy shopping small with us! Each order comes with a unique FREE gift and 1 FREE handmade mantra/affirmation card. Place your card somewhere special and read it often to remind you just how special you are! © 2019 Jasper in June.